Tom is the Managing Director and a co-founder of Melbourne based hedge fund, MM and E Capital Pty Ltd. In January 2013, Tom took over as 3AW’s full-time Drive host from 3-6PM Monday-Friday. Tom is also a contributor to Channel 9’s Sunday program and writes for various publications on financial issues. He started his career on the personal staff of Liberal politician Michael Wooldridge in 1990. In 1990-92 he studied at the University of Oxford, gaining a bachelor of arts in philosophy, politics and economics. On return to Australia he worked for Country Road until 1996. In the meantime he had started presenting a regular finance report on radio 3RRR. From 1997 to 2001 he was executive director of the investment bank Flinders Capital. From 2001 he has been managing director of MM&E Capital. Since 2013 Tom has been the presenter of the Drive program on 3AW. 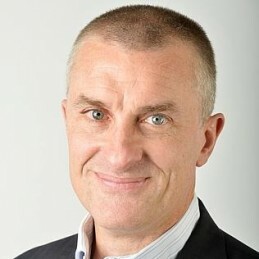 Tom Elliott is an experienced media commentator with expertise in the fields of state and federal budgets, superannuation, investments, the economy and financial reform.